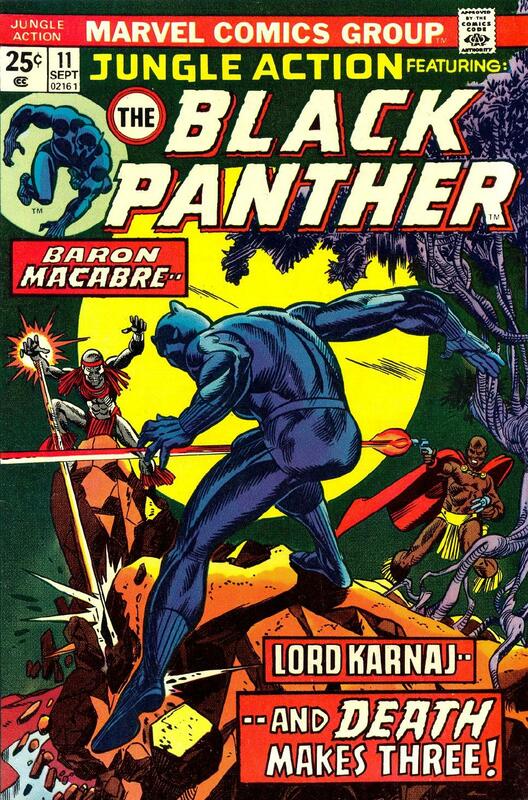 Posted on January 18, 2012, in Reviews and tagged Avengers, Black Panther, Daredevil, Don Heck, Don McGregor, Gene Colan, George Perez, Hulk, Incredible Hulk, Jungle Action, Marv Wolfman, New Teen Titans, Peter David, Stan Lee, Todd McFarlane. Bookmark the permalink. 43 Comments. Cool format, getting chunks of the LBG together like this. TITANS TOGETHER! 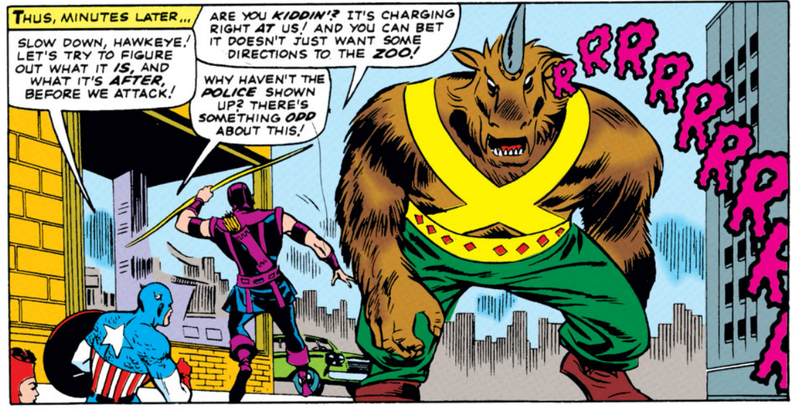 For a Bronze Age superhero book, that’s an A despite the “I get it already, Marv” scripting. B+ for the medium – fair enough. 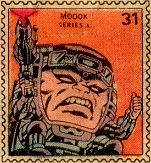 Anything less than a B and we would have had to use the Ultimate Nullifier on you. 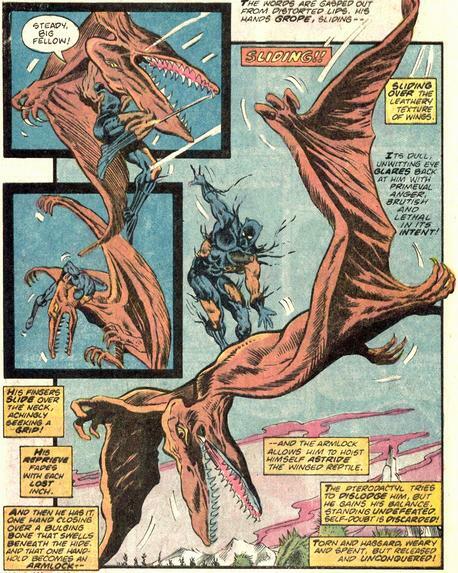 Panther surfing a pterodactyl = awesome. We read that run just last year for the first time, skipping over the captions when it got too heavy-handed. Sometimes, you know, a guy can just walk into a cave and go, “Hey tramp, you kill those dudes?” But McGregor wants to wring every drop out of that moment like it’s the last page on earth. We treated it as optional poetry contributing to the epic scale of the pterodactyl surfing and tyrannosaur trouncing. I may yet bump New Teen Titans up to an A-minus, I’ve likely underrated that series (just as I’ve persistently overrated Conan). It’s my class so I get to be the report card tyrant but I have enough books graded now that I can start to look at how things fall on the curve. I haven’t given a lot of “A” grades but I also haven’t gotten back to my favorite books yet, either (you can pencil in Swamp Thing and Master of Kung Fu in the “A” range, for example, the Batman run I intend to review may get there too). Glad the format worked for you … the Titans and Black Panther reviews were long-gestating. It took me awhile to accept that the stubs I’d written for those books weren’t going to flower into full reviews. Getting my Marvel Digital Sub made it all come together, as I banged quickly through those Daredevil, Hulk, and Avengers books, and had a few ideas to share but nothing so in depth as what I have coming up for Defenders in a couple weeks. So mini-reviews seemed a good way to go. I may do “Beneath The Longbox Shortbox” in a couple weeks if the stars line up right. 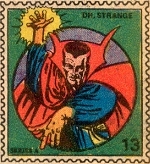 I’ve been reading the original run of Doctor Strange in Strange Tales, which would be a good fit. Just need four more books! 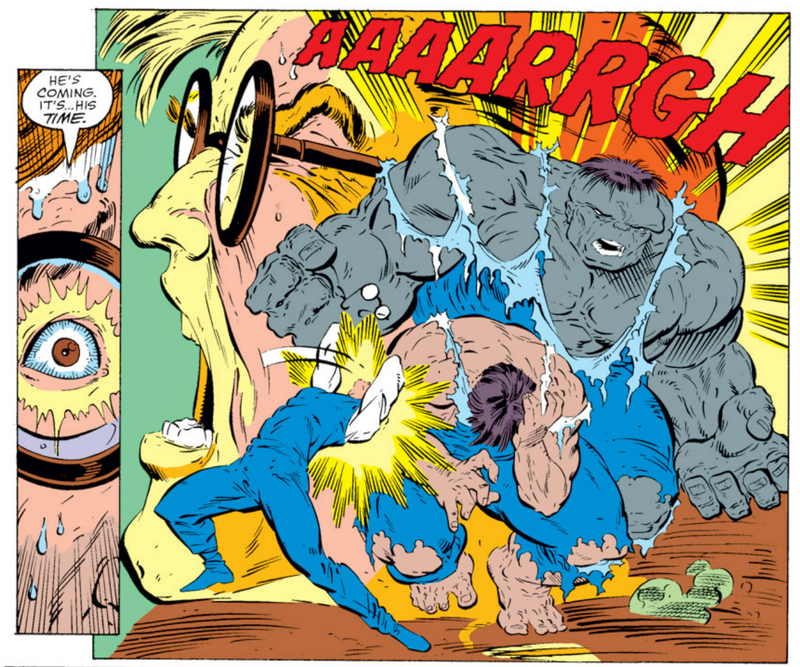 I’m debuting a new kind of column next week, too, with my first “Panel Gallery,” spotlighting visual cliches from Marvel books — let me know what you think. And now that you mention it, I can totally see how that Panther run would hit you square in your dinosaur fetish. Skimming McGregor’s denser captions is an excellent tactic, wish I’d tumbled to that when I was struggling through the series last summer! 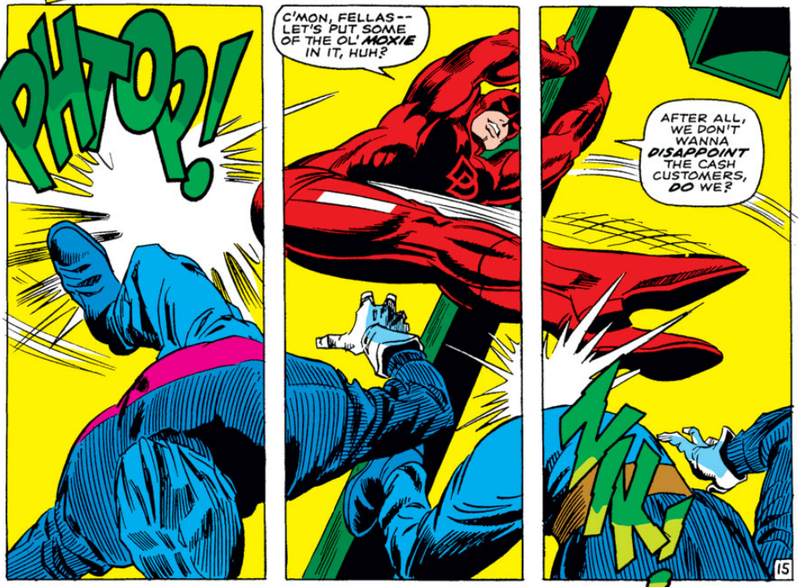 Those early Daredevils are a hoot. They took all the elements that worked in Spider-Man, only they make all the characters grown-ups and put them in a law office, because, y’know, kids love the intricacies of the law. I think the Titans stuff holds up as well. 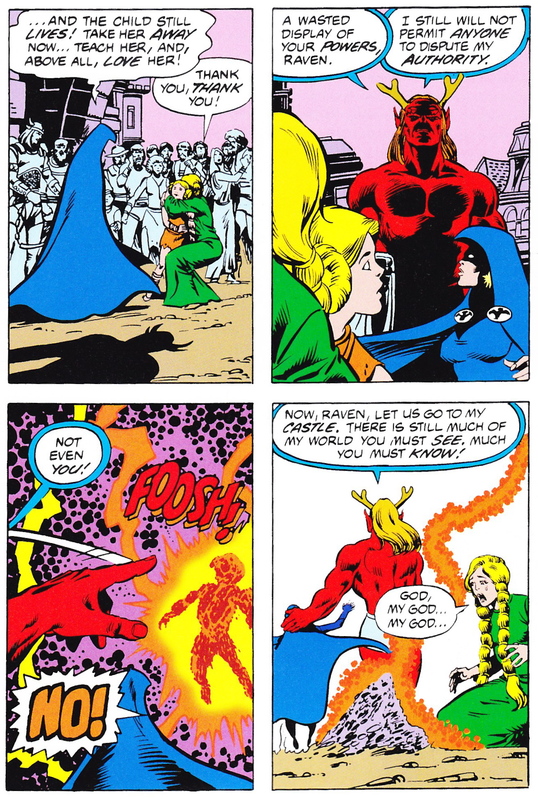 It has to fall into that “classic” category – and a lot of that stuff that Wolfman did (characters calling each other by name all the time, stating their powers, talking about what they’re going to do while they do it), is pretty much a straight line from Lee/Kirby to Kirby solo to Claremont’s X-Men to Marv. 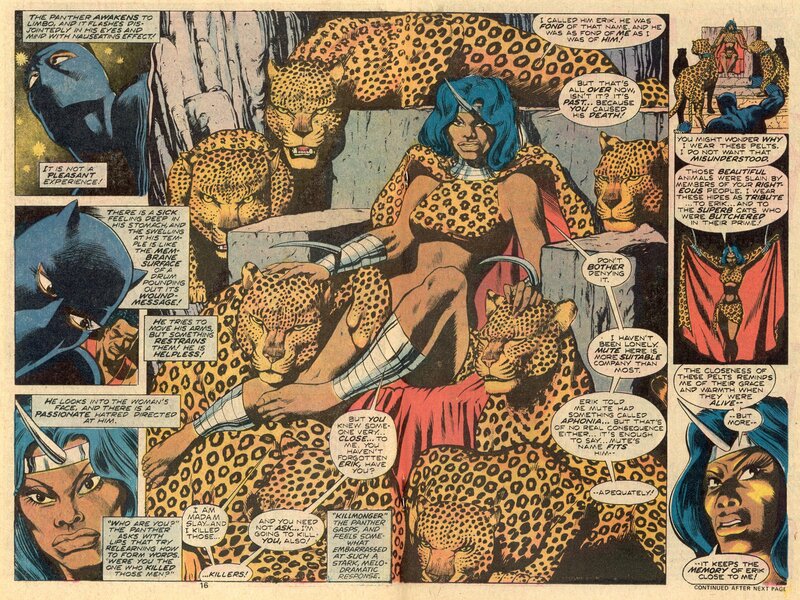 Marv had some great Marvel work in the ’70s and that long run on Tomb Of Dracula is the highlight for me, then he did the Titans and followed that up with Crisis. It’s a trifecta of great comics and he deserves big kudos for that and more. You’re right, of course, that the tendency to overwrite/overstate is hardly unique to Marv, and I probably shouldn’t leave that corpse on his doorstep. 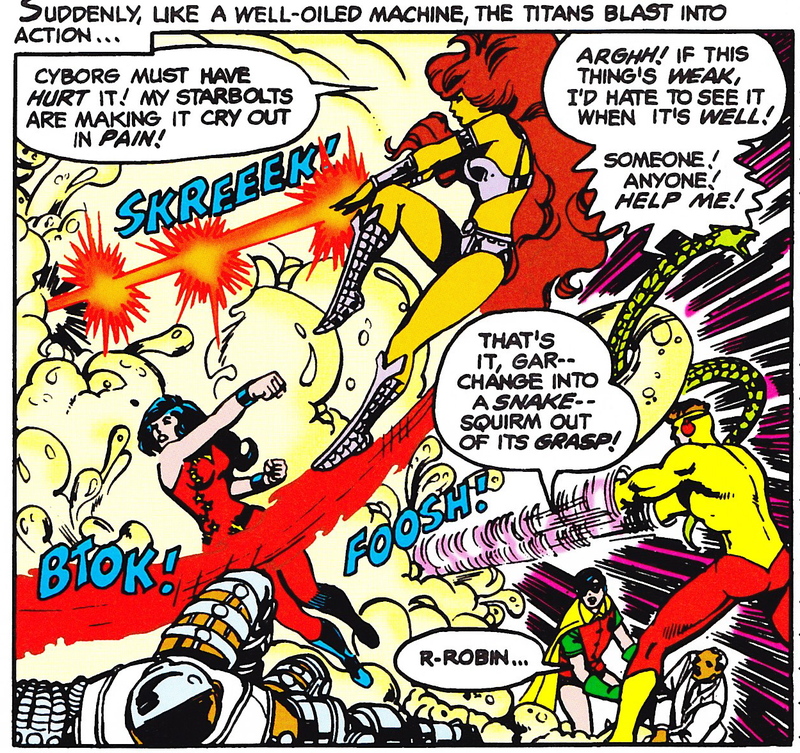 I’ve been reading a lot of Stan Lee Silver Age stuff lately and of course that’s just the way it’s done; I think the reason it leaped off the page for me in Titans is that I remembered the book being more modern. The series has modern themes, and George Perez was part of a new look in his day, but the story telling is kind of old fashioned (and I mean that in a nice way, with all the affection a guy who writes a Bronze Age comic blog can muster). It makes New Teen Titans a sort of hybrid, or transitional book, between a nostalgic age and a modern age I hold in considerably lower esteem. 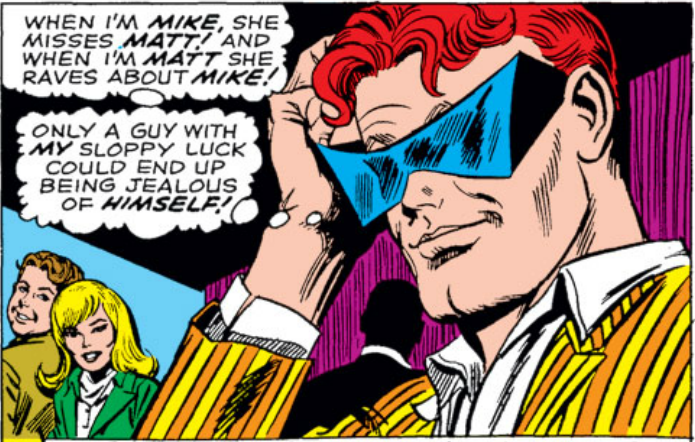 I forgot that you worked with Marv for awhile at Malbu (he had a Bravura title with you, didn’t he?). I met Marv briefly when he was editor over as Disney for comics. He gave me a shot at doing a Chip & Dale script and I totally blew it; I always felt bad about that. Nice guy. 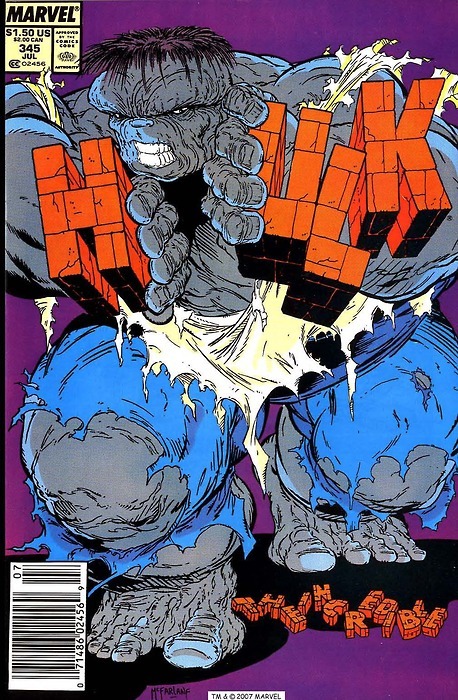 Yeah, Marv and artist Shawn McManus had a snappy Bravura title called The Man Called A•X, and it was fortunate that the first series got to finish before the imprint was shuttered. Marv’s a great guy – he wasn’t in the office that long and certainly not every day, but he’d pop in, do his stuff and hang out. It was very surreal to walk out of my office – “Oh, look, Marv’s here and he’s sending a fax.” Spending time with him, and Howard Chaykin, was a highlight of my Malibu years. I hope that he’ll write some kind of memoir of his time in comics. 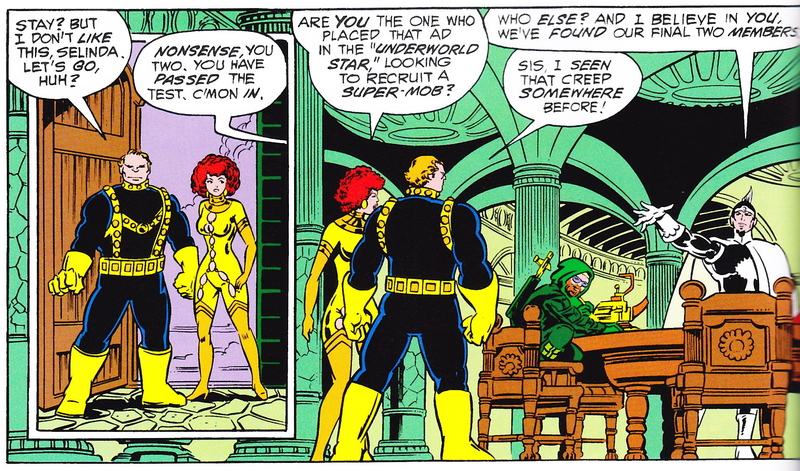 He broke in when the old guard of DC – Kanigher, Boltinoff, Julie Schwartz and others – was still guarding, and he was part of the new people coming in and stirring things up, pre-Direct Market. 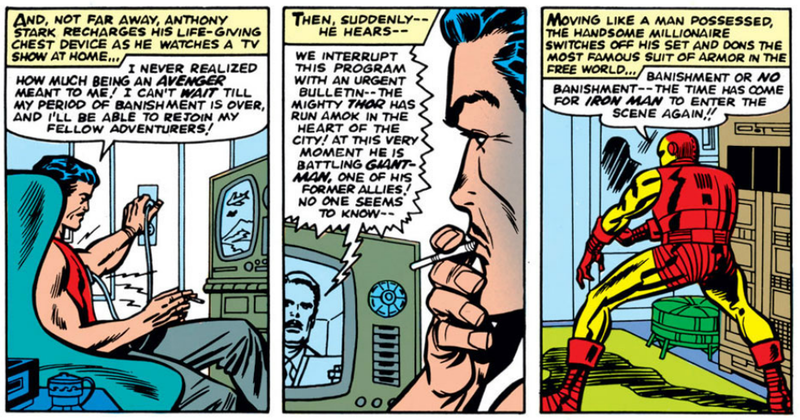 I’d love to read more about the behind-the-scenes stuff at both DC and Marvel during that time. 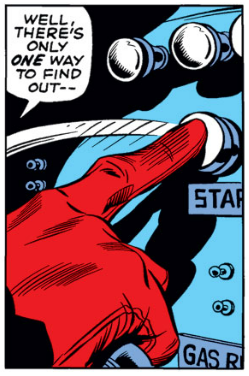 Aside from either originating or being perfected by Stan, the overwriting/overstating technique feels like it’s part of the mantra of “every issue could be someone’s first” so that while the plot may be running through a couple of issues, at least you know who the players are and what they can do. Plus, now that we can read two years worth of comics in one sitting, it’s not how they were originally created, so the flaws – and redundancies – are more obvious now. Good post as always. Looking forward to next week’s! Tom’s right on about these things: Reading them in one sitting gives a different experience than waiting 30-60 days. And, Titans was right at the end of the “news rack” age of comics where I remember picking things up fairly randomly as a kid. Marvel made a nice move in the 2000s to put in title pages that recapped the story, gave the run down on the players and characters, and so on. That eliminated the need for all this over-explanatory dialogue. And though I hate to say it, we are not the intended audience for these books. This was a book for literate teenagers and young college students primarily. Another way to grade them would be: How well written were they for their intended audience? We wouldn’t give Brothers Karamazov a D+ just because a six year old found the dialogue impenetrable. So it may be unfair to judge Titans by the same standards of say, Concrete, Lucifer, Criminal, or Zap. And Mars, I do try to filter myself when writing these reviews — a big part of this blog is trying to understand the differences between myself at twelve and myself at fifty, so I consciously try to recapture my original emotions about a book, and evaluate how those feelings have changed. I know full well most of these stories aren’t going to hold up (and even when a book completely crashes and burns, as was the case with Deathlok and to a lesser extent Micronauts, I try to drill back down to what it was about those books that excited the affection of my younger self). The grade and assessment I offered Titans (for all that I may have sold it short) really is on a continuum with the other books I’ve reviewed on the blog, and not an attempt to compare it to other forms of fiction or film. And by that standard it rated very high indeed (of contemporary books I’ve only graded Simonson’s Thor higher). 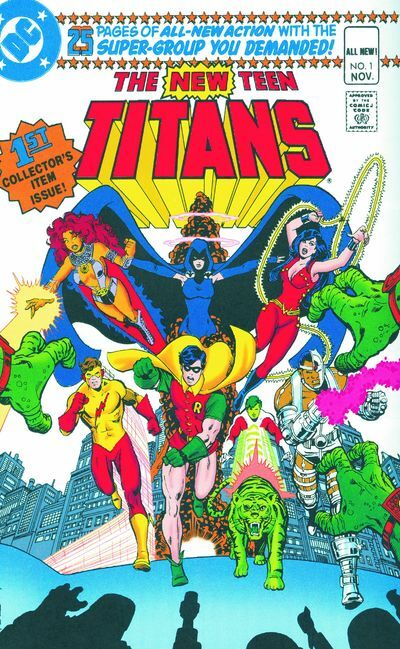 Titans actually was one of those select books that was better than I remembered — but it was also different than I remembered, and part of what was different was the style of the storytelling. Right on, Paul. We dig the self-discovery undercurrent that separates your site from other Bronze Age blogs. 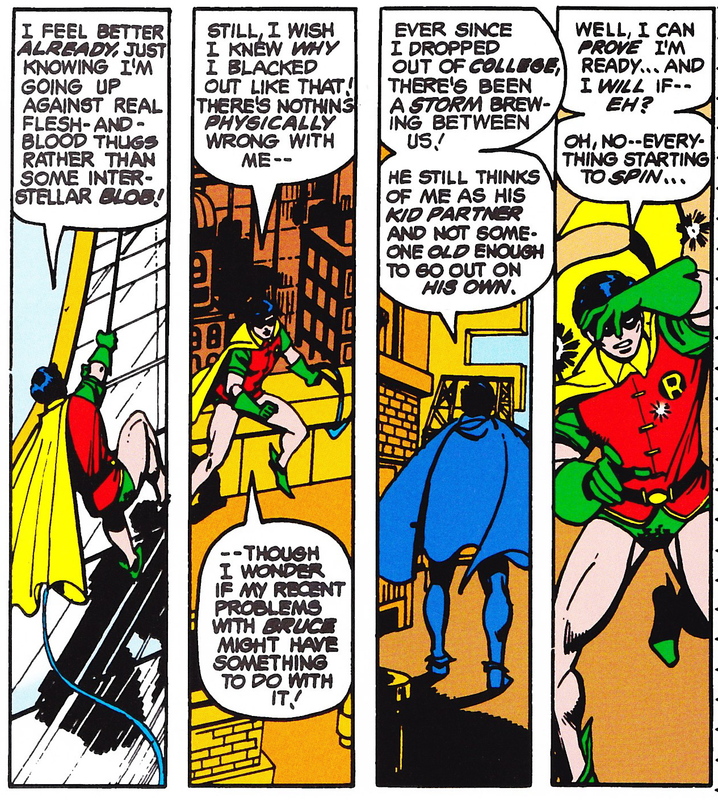 …and, things like the ‘self-help Robin’ caption that is still cracking us up. Maybe you are even moving in the direction of identifying not only what makes a comic stand the test of time, but also what makes a story appeal to all ages – an area where we are especially clueless. Shooter was right. 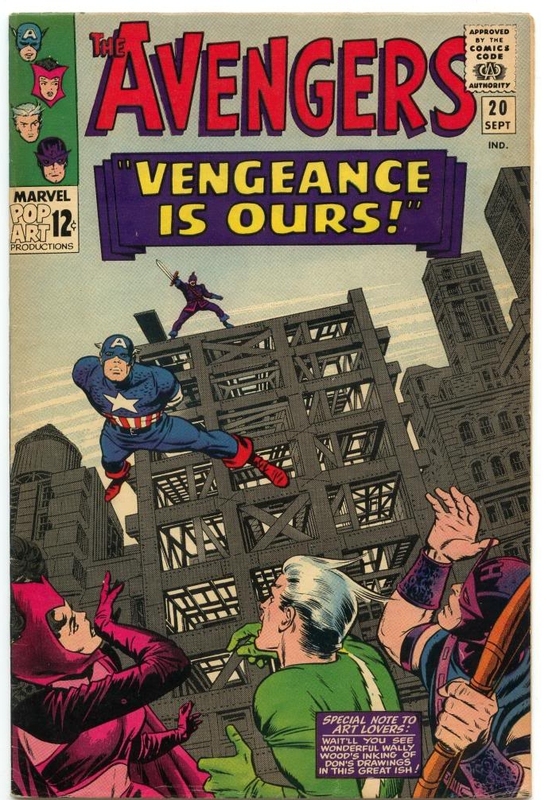 Until about the age of 14, the only place we could get comics was the Magic Mart and the Walgreens within walking distance of our parents’ house. Collecting stuff like the 6-issue Man of Steel series, or the 6-issue Dreadstar and Company reprints – we must have walked to the store a million times waiting for the day the issue would hit the stands, and still missed them. ^%#@*($*&!!! I don’t think I have a clue about all-ages appeal, actually. That big, shiny, colorful, New Teen Titans Omnibus sat unread on my twelve-year-old son Jack’s nightstand for weeks over the holiday. I really thought he’d tumble to this particular collection but no dice. He’ll sometimes read a World of Warcraft graphic novel, but for the most part he’s got his nose glued in his iPod (and hasn’t had any enthusiasm for reading comics on that platform, either). I can’t rag on him too bad for the iPod thing because that is also my business and livelihood, but it seems increasingly certain the Comics Geek Gene has skipped a generation in my family. 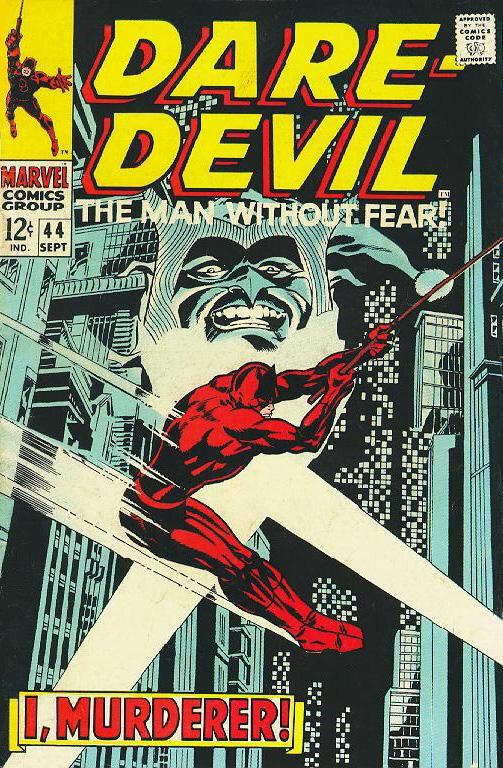 And your Walgreens story reminds me that in the summer of 1974 my comic stand was at the end of a long, long hill in Hollywood, and that I used to walk down there seemingly every day to spend my quarters on Marvel Comics. (Uphill both ways, of course). Fortunately I didn’t miss a lot of issues even in those newsstand distribution days because just down Hollywood Boulevard (near the Chinese Theater) was Collector’s Book Store (also called Bennet’s Book Store I think) which was a direct market comic book shop before there was a direct market, or even comic book shops for that matter. And they had EVERYTHING, including the last three or four month’s worth of any Marvel book, so if I got hooked on Iron Man, I could go back and get the previous several issues, and if I missed an issue of Thor, well, I could fill in that run as well. If I could go back in time with a couple hundred dollars in my pocket what treasures I might pull out of that cave. Long gone now, sadly.